V 1,17 is a single room taberna. 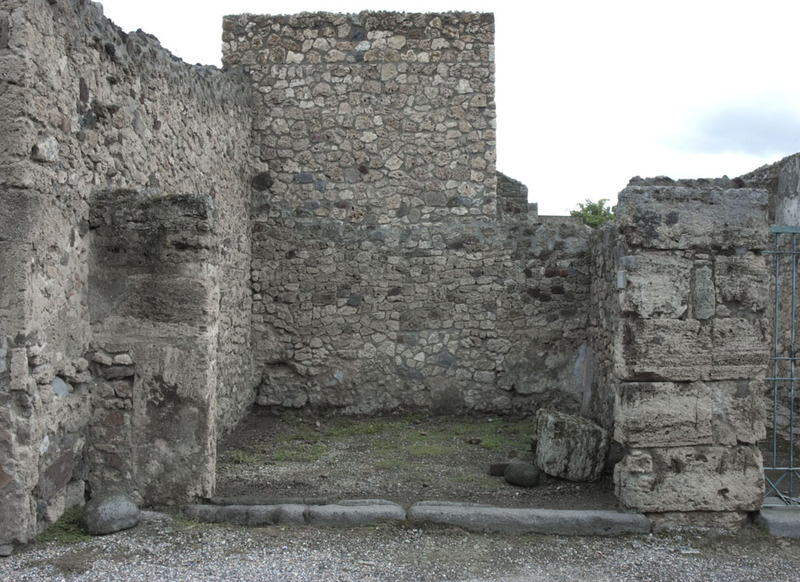 There are no traces of any door or architectonical connection to Casa degli Epigrammi greci. Installations: In the NE corner a latrine with a pozzo nero is found. c. 1 m inside the large door, traces in the preserved floor indicate some kind of installation abutting to the N wall: a table, since there are two areas visible in the floor that could be interpreted as table support. Or it could be the few remains of a platform for a staircase running along the N wall to a second floor. Though, no traces of beam holes or other architectural features that could be associated with a second floor. However, we should observe that the N wall was badly damaged in the bombings in 1943, the wall was restored in 1975. See further about the bomb damages in the discussion of the cubic capital above the door to V 1,16. Only few fragments of the wall plaster is still in situ: in the SE corner a larger surface is still clinging to the wall. The wall plaster on the S wall continues below floor level, indicating a construction sequence, or an earlier phase? 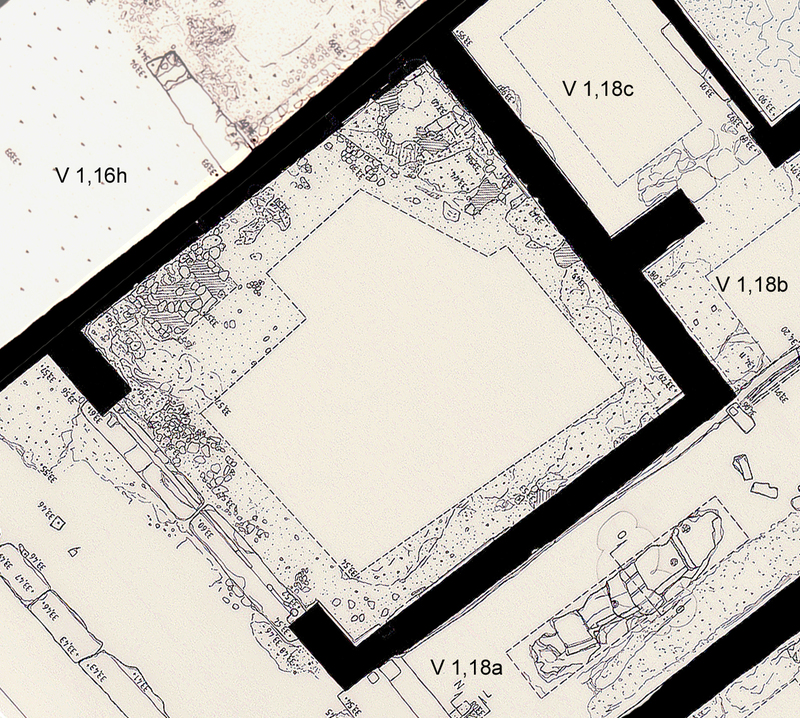 The taberna V 1,17 after the roofing of the northern rooms by the atrium in V 1.18.